Topping the list is the very popular Honda Activa. The practicality of a gearless scooter combined with the ease of use shot it to fame since the launch of the first generation model in 2000. This year as well, the Honda Activa has topped the sales charts with 30,93,481 units sold in 2018. The highest month of sale was April with 3,39,878 units while the lowest sales were reported in December 2018 with just 1,74,393 units. That said, the Honda Activa sold an average of 2.58 lakh units every month. Positioned below the Hero MotoCorp Splendor but above the bare-boned HF Dawn, the HF Deluxe grabs third position in 2018 sales. Registering a total of 21,13,045 units sold last year, the HF Deluxe offers a number of features such as alloy wheels and electric starter as options to add a premium touch to the commuter motorcycle. The Honda CB Shine secured the fourth spot in the 10 highest selling two-wheelers in India in 2018. Selling 10,21,800 units, the CB Shine has been placed between the Livo and the Dream series. The Honda CB Shine is a geared commuter motorcycle with a price tag of Rs 55,766 for the base version to Rs 67,193 for the top-specced version which is offered with alloy wheels, a front disc brake and electric starter. The third highest sold product from Hero MotoCorp’s stable, the Passion, grabbed the fifth position with total sales of 9,68,354 units. Positioned above the Hero MotoCorp Splendor, the Passion offers a tad higher premium appeal to its buyers making it one of the top selling two-wheelers in the country. The ‘oddball’ in the 10 highest selling two-wheelers in India last year has to be the TVS XL 100 moped. Selling 8,81,640 units in 2018, the TVS XL 100 had an average monthly sale of 72,740 units. The highest selling month for the moped was during the festive season in September 2018 with 99,593 units and the least number of mopeds sold were in December at only 59,828 units. One of the first maxi scooters with a host or features such as a phone charger, self starter, alloy wheels and front disc brake, the TVS Jupiter, caught the youngster’s attention immediately. The new TVS Jupiter grabbed seventh spot selling 8,16,994 units in 2018. The average monthly sales of the TVS Jupiter were 68,082 units. Coming in at a close eighth position, the Hero MotoCorp Glamour sold 7,82,675 units in 2018. Although the commuter motorcycle witnessed poor sales in the opening and closing months of last year, a steady sales made it one of the most sold motorcycles in the country. The entry-level Bajaj CT100 registered a total sales of 6,97,842 units in 2018 achieveing ninth position in the 10 highest selling two-wheelers in India. Unlike the Platina or Discover, Bajaj dealers found popularity with the CT100 and on an average, they sold 58,153 units every month. Although over a decade old, but, with new updates to offer a premium appeal to its customers, the Bajaj Pulsar 150 sold 5,70,786 units in 2018 reaching at the tenth position. 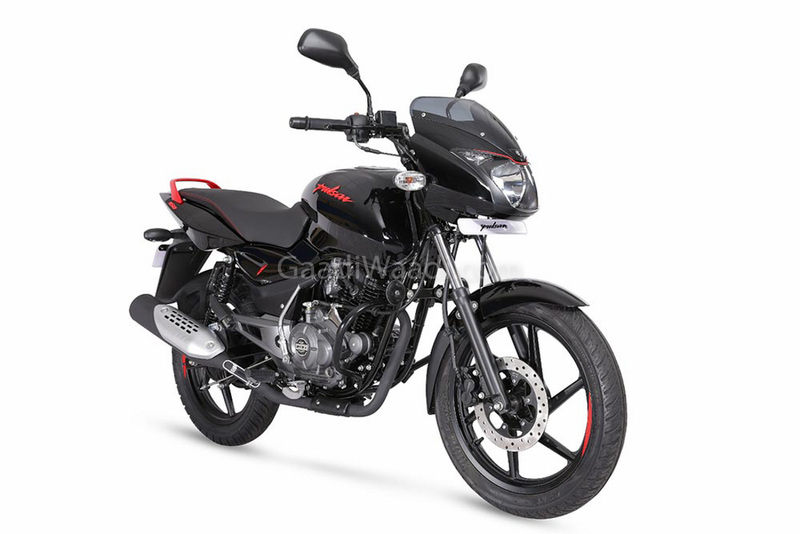 With an average sales of 47,565 units every month, the Pulsar 150 has been popular with the millenials and as a daily runner for office goers alike. For a number of years and every year, the Honda Activa has ruled the roost in the sales figures. What is interesting though is the fact that various models of Hero MotoCorp’s stable have dominated other positions and the odd but still in the list is the TVS XL 100 moped. What can be concluded is that while gearless scooters are gaining popularity, customers opt for commuter and sub-premium motorcycles more.